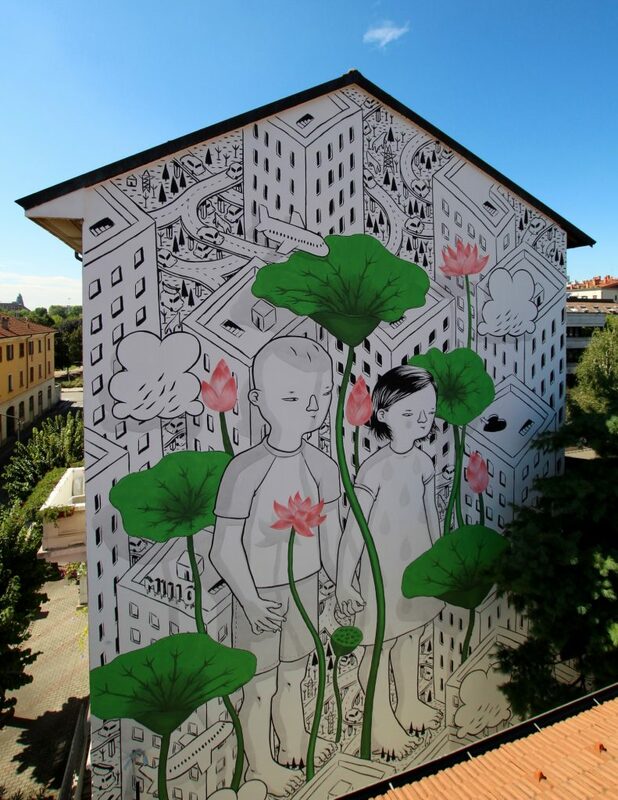 Rub Kandy and Andrea Nole recently worked on a new wall in Potenza, Italy entitled “Waiting For Aliens”. where they painted a trackside graffiti-esque piece stating “Aliens Welcome” with a UFO having in between the letters. Our friend Opiemme recently painted a new collective mural painted with the partecipation of 1000 children from 3 to 13 years old of the school “I.C. Via Giuseppe Messina” in Rome, Italy. The children chose negative words to be deleted by throwing eggs filled with colors in a collective performance that were accompanied by some positive words that the children suggested. The mural also represents constellation of Pisces – a symbol of renaissance. Vesod was born in Turin in 1981 and he lives and works in a Venaria Reale. His artistic attitude has been fostered by his father Dovilio Brero, surrealistic painter, whose influence has an impact on Vesod since his youth: he has been therefore developing an interest in the graffiti world since the beginning of the 90s. MOMO (also known as Momoshowpalace) recently unveiled a new solo exhibition at the Studio Cromie gallery in Italy. The show opened Saturday the 22nd of october at 19:00, with djset by JAY TOOL and features new paintings, prints and pieces on paper.